Capcom Unity has posted a new announcement for its classic collection, the Capcom Beat ‘Em Up Bundle. Next month, a new update will launch for the title, adding some new visual options, and making a small but crucial change to the online mode. 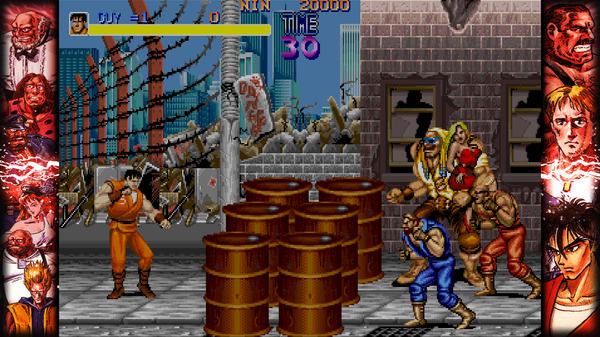 First, the Capcom Beat ‘Em Up Bundle is getting a few new screen filters. Of course, one of them is the obligatory scanline filter, like you’d see in just about any other retro re-release or collection. The second filter is an “arcade” filter, which is a bit darker than the scanline filter and uses a slightly different pattern that more closely emulates an arcade screen. There will also be a new screen size option, which alters the image size to make it smaller than the default, in order to allow the image fit in a wider variety of screens. Finally, the tweak to the online system. Before, after starting a game from an online lobby, players would be able to join in-progress games. This annoyed some players, so in responding to feedback Capcom is adding a toggle option, so you can start your game from the lobby and not be interrupted in the middle of it after it starts. There’s no release date for this update beyond “November,” but Capcom will of course update its social channels once more info is available.